A few weeks ago, I joined members of the Jewish Council on Urban Affairs and the Downtown Islamic Center in a joint community service event at the DIC. When I arrived I met a group of lively volunteers. Together we worked in an assembly line to prepare peanut butter, banana and honey sandwiches. We packed them into lunch bags with salads and oranges before setting out across downtown Chicago to offer the lunches to people experiencing homelessness. I was glad to be working alongside people from different backgrounds on a common goal of service to our sisters and brothers facing hunger and homelessness. Both Judaism and Islam stress the importance and the necessity of feeding the hungry and helping the homeless. Both traditions emphasize social justice for the suffering, the downtrodden and the powerless. In the Jewish tradition, to perform acts of social justice is to do God’s will, and we are all called on to act on behalf of God in this world. Service to our fellow human beings can be a vehicle for bringing us together. When we do service together we grow in understanding with one another, deepen our sense of fellowship, and inspire hope in ourselves and others. As two new friends and I were walking down the street and offering lunches to those in need, an onlooker thanked us for what we were doing. I could tell that we had inspired some hope in him. Now more than ever it is crucial for Jews and Muslims to come together in the name of love, unity, and understanding. We must stand together against all forms of hatred, bigotry, and division. Amid divisive rhetoric we have an opportunity to show our strength in unity. We are commanded: “You shall not oppress a stranger, for you know the feelings of the stranger, having yourselves been strangers in the land of Egypt” (Exodus 23:9). As Jews we know what it feels like to be ostracized and scapegoated, and we must do everything within our power to foster unity and to not allow the heinous crimes of history that we will never forget be repeated on our neighbors. We are children of Abraham. We can and we must come together in the spirit of love, understanding, peace and justice. 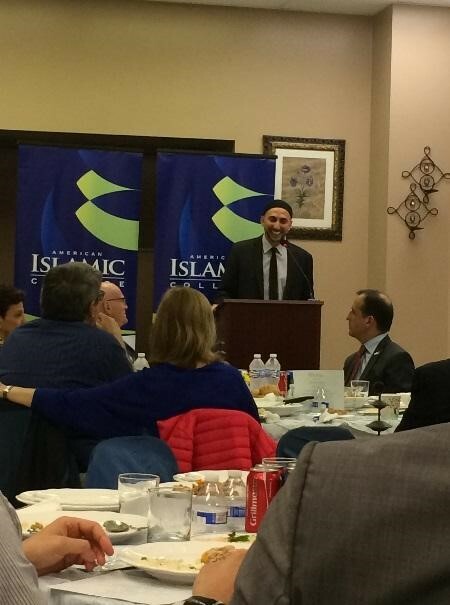 Over the past few weeks, I had the opportunity to attend three community Iftar celebrations hosted by the American Islamic College, CAIR Chicago and Islamic Community Center of Illinois (ICCI). 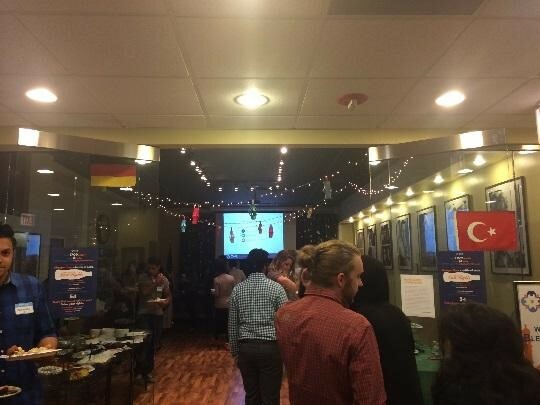 As JCUA continues to connect with the Muslim community in Chicago in meaningful ways, these celebrations were reminders of the relationships we have with so many of our Muslim partners. During the holy month of Ramadan, Muslims around the world abstain from eating and drinking for 29-30 days from sun up to sun down. It is a month of rejuvenation, reflection and spiritual enlightenment. It is also a time for Muslims to intentionally engage with their communities. Friends come together to reflect on all there is to be thankful for and to be reminded of how best to work together to make their communities a better place. At the Annual Iftar Dinner hosted by the American Islamic College, Judy Levey (JCUA’s Executive Director) and I were warmly greeted and made to feel part of their community. We were treated to a delicious meal and engaging conversations. The keynote speaker Dr. Rami Nashashibi, Executive Director of IMAN, encouraged all of us to be more thoughtful about working to address inequality. He pointed out that many of our brothers and sisters in our own backyards do not have access to what they need to survive and thrive. Rami spoke beautifully of Rabbi Marx, the founder of JCUA, and how his dedication to seeking justice in Chicago is something we should all practice. Sitting among our new friends, it was inspiring to be reminded that our shared belief in humanity fuels a collective desire to build bridges and understanding. Judy and I also attended CAIR Chicago’s 7th Annual Taste of Ramadan event. While this celebration was a bit more informal, it was just as meaningful. The notion of hospitality in the Muslim community, especially during Ramadan, is incredible. Everyone encouraged us to feast on an eclectic pot-luck style meal representing different cultures and religions from around the world. It was a wonderful dinner, allowing us to connect with old friends and become acquainted with new ones. CAIR Chicago welcomed us with open arms and took this Ramadan to celebrate the diversity in our community. Finally, Aline Sredni, one of JCUA’s wonderful summer interns, and I participated in ICCI’s (Islamic Community Center of Illinois) youth organized interfaith Iftar event. Individuals from the Jewish, Bahai, Catholic, Buddhist and Muslim faiths gathered for a fascinating interfaith discussion. We addressed questions ranging from, “Can religious leaders and scientific leaders work together?” to “Is it important for individuals of different religions to dialogue despite conflict?” This event marked what I believe is the beginning of a fruitful relationship with the ICCI community. JCUA wishes all of our Muslim friends a Ramadan Mubarak! As some of you may have heard, after much thought, JCUA decided not to hold our annual Jewish Muslim Community Building event, Iftar in the Synagogue, this summer. You may be wondering: Why did JCUA cancel this popular event? 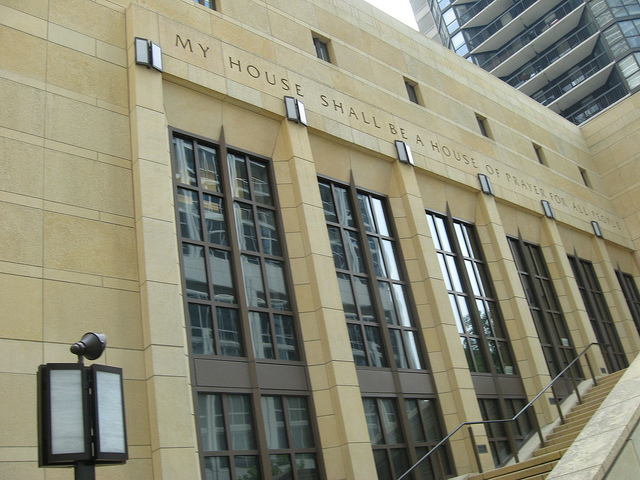 Is JCUA still engaging in Jewish Muslim work here in Chicago? What kind of Jewish Muslim programs will JCUA hold in the future? All of these questions are important and valid. JCUA staff, friends and both Jewish and Muslim community partners are also thinking about these same questions. While JCUA remains dedicated to doing meaningful work with the Muslim community around issues of discrimination here in Chicago, the challenge is HOW and WHAT are we going to do together. JCUA established the Jewish-Muslim Community-Building Initiative (JMCBI) in 2001 in response to an increase in intolerance and hate crimes against Muslims following the attacks on 9/11. Since then, JMCBI has been fostering collaborations between Muslim and Jewish organizations and individuals in Chicago as well as nationally. These collaborations include cross-cultural engagements, building bridges among leaders and community members, joint advocacy, and solidarity in times of crisis. JMCBI programming has been rich and fulfilling, but JCUA wants to take this summer as an opportunity to assess and examine how we can leverage the awesome work that has already been done to ensure it stays relevant and meaningful for everyone. We want to engage in structured, purposeful and meaningful conversations to determine how best Muslim and Jews can engage in significant work that helps to make positive, systematic change here in Chicago. So this year, in lieu of Iftar in the Synagogue, JCUA is participating in the Chicago Community Trust’s On the Table campaign. On May 12, thousands of people from all over Chicagoland will be participating in real-time conversations around how to make Chicago better for everyone. JCUA is using this event as a platform to engage with our long-standing Muslim partners to brainstorm how we can work together moving forward. We are partnering with CAIR-Chicago for a small and focused dinner conversation on how issues of Islamaphobia and anti-Semitism might be better addressed with joint programming in the future. Overall, we are seeking to build a stronger partnership and solidarity around issues in Chicago that impact members of both communities. Building on more than ten years of work in this arena, we hope to spur the development of meaningful future programming. We will update you on the outcomes of the conversation on May 12, and look forward to engaging with everyone who is interested in Jewish – Muslim work with JCUA to help ensure that our work is affecting positive change in Chicago. In the meantime, if you have any questions or ideas, please be in touch with Sarah Gold at sarah@jcua.org. Editor’s Note: “On a Just Path” is a series of stories about former JCUA employees, where they are now and the impact JCUA had on them. Interviews were conducted and edited by Nathaniel Seeskin, AVODAH Organizing Fellow at JCUA. Q. When were you at JCUA and what was your position? A. I had the pleasure of working for JCUA from 2003 to the end of 2005 in the position of Director of Outreach and Education. Q. Tell us about your time at JCUA. Organizing the Jewish community to work with day laborers in Albany Park to create a day labor center, partnering with public housing tenants to stop the demolition of Cabrini-Green and raising concerns about the fates of tenants, and working to support hotel workers during the Congress Hotel strike. We built a strong social justice voice within the Jewish community in Chicago. Running the Judaism and Urban Poverty (JUP) curriculum, one of JCUA’s hallmark programs at the time. We initiated the Nadiv Fellowship, through which dedicated young people in their twenties and early thirties studied Judaism and social justice and then taught the JUP curriculum to seventh graders in synagogues through Chicago and in the suburbs. 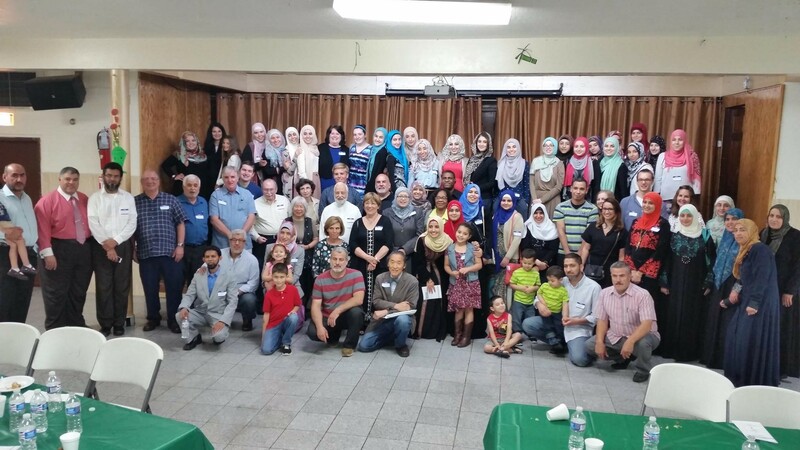 Creating the Jewish Muslim Community Building Initiative (JMCBI) and partnering with the Chicago’s Muslim community on programs like ‘Iftar in the Sukkah’ and ‘Cafe Finjan’. Running social justice trainings and public programming in synagogues and other venues. For instance, we held a full-day Jewish social justice learning event for over one hundred people at the Spertus Institute, and we developed a series of community organizing trainings for synagogue leaders. Q. When did you work here and what was your position title? A. I was at JCUA during the early 2000s and was the Coordinator of the Jewish and Muslim Community Building Initiative as the program launched. Q. What was special about working here? A. I made several of my closest friends while working at JCUA and entered into a large network of progressive Jewish activists whom I stay in touch with to this day. It was the first time I felt my Jewish identity and my activist identity were in sync and visible in my adult life. Q. What impact did your work at JCUA have on the community? A. We began organizing in response to hate crimes and attacks against Muslim community centers and mosques in Chicago. Ultimately, we organized a campaign in response to the PATRIOT Act. We collaborated with CAIR Chicago and several other Arab and Muslim community organizations to pass city council resolutions against the PATRIOT Act. It wasn’t always easy to convince Jewish community leaders that we should organize against the attacks on Arab and Muslim people– but we were able to tap into our own stories and experiences of persecution as immigrants– and built a powerful community across lines of difference. Q. How did your experience at JCUA impact what you do now? A. I spent the last decade working in the Cook County Juvenile Detention Center, where I co-led Free Write Jail Arts and Literacy Program– which provides arts and literacy education to youth who are detained there. I then went on to work at Chicago Public Schools, leading an effort to support formerly detained and incarcerated youth in returning to school in Chicago. I am now at Harvard Graduate School of Education, where I am earning my doctorate. I am interested in expanding access to education for people in prison. My interest in these issues was catalyzed at least in part by the important work that was happening at JCUA when I was there, in response to the John Burge torture cases. I was introduced to a whole world of activists who were organizing in defense of those people who had been wrongfully convicted as a result of torture at the hands of John Burge. It changed my life to meet those brave people who stood up and challenged power, after having experienced such trauma. 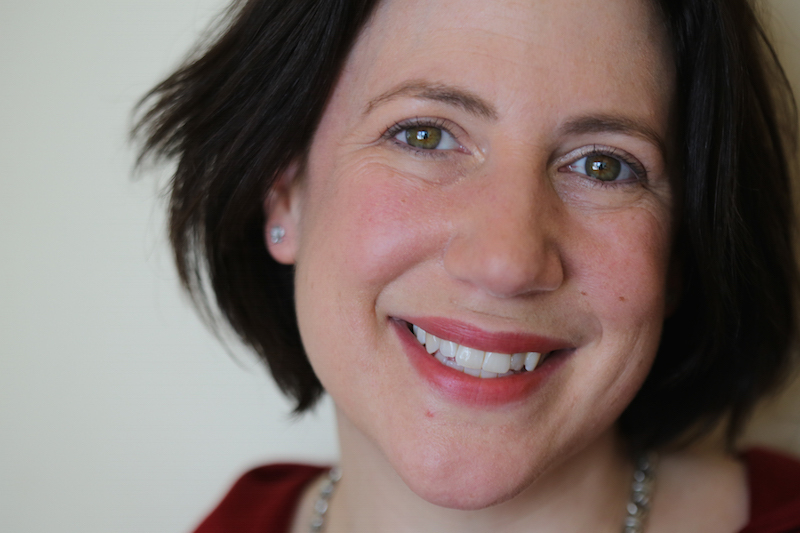 Amanda Klonsky is currently studying for her Doctorate in Education Leadership (Ed.L.D.) at the Harvard Graduate School of Education. Her work is focused on expanding access to education for youth returning from juvenile detention and prison. 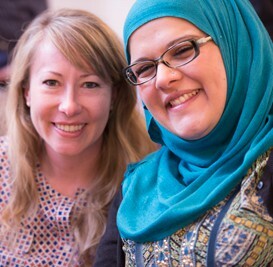 The Jewish-Muslim Community Building Initiative (JMCBI) is a core component of the work of JCUA in building bridges with communities impacted by discrimination. JMCBI began in 2001 in response to the tremendous rise of Islamophobia after the terrorist attacks on 9/11. During the past 14 years JMCBI has created inter-religious dialogues, cultural events and stood in solidarity with both Jews and Muslims against Islamophobia and Anti-Semitism. We are excited to share two developments happening over the summer of 2014 that will further the work of Jewish-Muslim bridge building. We welcome Zoë Reinstein to JCUA as the Jewish-Muslim Community Building Initiative summer intern! Zoë is from Highland Park, IL and is no stranger to JCUA. 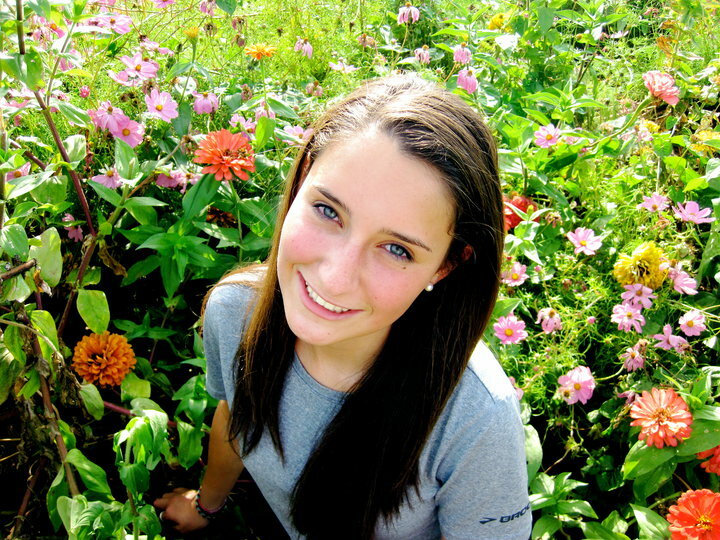 Zoë is a third generation participant in the work of Jewish social justice with JCUA beginning with her grandfather. She is an incoming sophomore at Oberlin College and became activated in interfaith work when she participated in Hands of Peace last summer. During the summer Zoë will be instrumental in helping us grow JMCBI’s activities and making sure the annual Iftar in the Synagogue is a success! 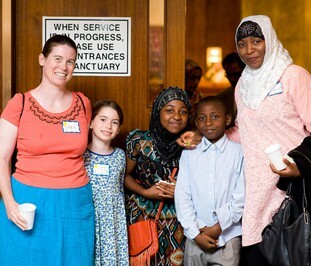 This summer we are thrilled to be working on our 9th annual Iftar in the Synagogue. This is one of the highlights of the year in Chicago for Jewish and Muslim interfaith engagement. The theme for Iftar this year is Rekindle Our Faith, Renew Our Community and we will be focusing on how we can bring a new spirit of justice to our city through the lens of our faith traditions. We are grateful to Chicago Sinai Congregation for hosting the 2014 Iftar in their beautiful synagogue in the heart of downtown. Space is limited this year so please RSVP online to reserve a spot. There is no mandatory cost to attend while a donation is always appreciated which helps cover the cost for the delicious catered kosher and hallal dinner. Mark your calendar for the Iftar on July 17th at 6:30pm taking place at Chicago Sinai Congregation (15 W. Delaware Pl., Chicago). The synagogue is easily accessible by public transit or you can drive and park at 1 E. Delaware Pl. and bring your ticket to the synagogue to have it validated for discounted parking. The marching band from Fairfield Elementary, across the street from the house on Fairfield, enhances the celebration (more photos). City housing advocates are celebrating the completion of an unusual housing project on Chicago’s Southwest Side. On April 28, JCUA joined city and foundation officials and others to celebrate the Inner City-Muslim Action Network’s ribbon cutting on 6210 S. Fairfield. The house, which was the second project completed by the Green ReEntry crew, was the culmination of tremendous efforts of an unconventional idea that went far beyond the confines of a typical bricks and mortar project. The Green ReEntry crew is made up of formerly incarcerated individuals who are reclaiming their lives through leadership training, community engagement, and learning construction skills (learn more about Green ReEntry). “We would never have been able to acquire this home if community partners and organizers from the Jewish Council on Urban Affairs, Southwest Organizing Project and others across the city didn’t come together three years ago through the Multifaith Housing Reclamation Campaign to help us mobilize with our local leaders around this home,” said IMAN’s Alia Bilal who served as emcee that morning. You are currently browsing the archives for the Jewish-Muslim Relations category.